In Hindu culture, the birthdays of Gods, Goddesses, spiritual and religious saints are observed on the respective days they fall on, and are termed as ‘Jayanthi’. Several Jayantis fall in the span of a year and different communities celebrate these in different ways. Devotees often organize elaborate celebrations and extravagant cultural programs on such days. Singing, dancing and bhajan (songs) recitals glorifying the exploits of the deities are held. Many people participate in the proceedings and often, prominent personalities from the political and celluloid arena are roped in to entertain the assembled crowds. 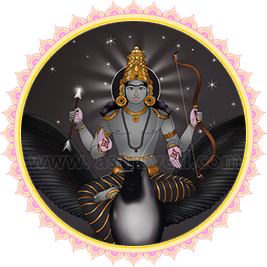 Shani Jayanthi or Shani Amavasya observes the birth anniversary of Shani (planet Saturn), the son of Surya (planet Sun). Shani Jayanthi is an extremely auspicious Hindu festival, which commemorates the birth anniversary of Shani, the male progeny of Surya (the Sun). According to the Hindu lunar calendar, the day falls on Amavasya thithi of the Vaisakhi month (April–May). Shani is associated with the planet Saturn and exerts an enormous influence on the life of all individuals. Astrologers recommend the worship of Shani to nullify the malefic effects of the planet in your horoscope. Individuals with Sade Shani (71/2 years of Saturn) affecting their life are strongly advised to worship the deity on Shani Jayanti. Worshiping the deity Shani on this day is said to prevent unfavorable events occurring in your life and to usher in good luck and fortune. The favorable placement of Saturn in the birth chart is extremely vital and it plays a large part in determining whether you would enjoy the fruits of your labor or not. Therefore, the occasion of Shani Jayanthi presents a wonderful opportunity to offer your prayers and propitiate the deity. Shani Jayanthi has a profound impact among the devout, and the festival is widely celebrated across many regions of India, and more so, in the state of Madhya Pradesh. Many regard the stance of Shani in their horoscopes as inauspicious, but the principal purpose of Shani is to guide an individual in pursuing a meaningful life, with the result always being positive. Shani always believes in fair justice and blesses his devotees with what they deserve. Shani’s influence is at its pinnacle on Saturdays, so observing a ‘Vrat’ (fast) and visiting temples of the deity on this day of the week are highly rewarding. It is said that by doing so, good luck and fortune smile on the individual, with many witnessing a remarkable shift for the better in their lives. The Shani Temple at Thirunallar and Kokilavan Dham (Shani Temple) at Mathura are the prominent shrines renowned for Shani worship. Observing a ‘Vrat’ (fast) on Shani Jayanti is said to be highly rewarding and can bestow you with his graceful blessings. Apart from the regular Saturday Poojas, conducting Shani Shanti Pooja, Havan and Homam (fire lab) can appease the deity. You can perform these rituals in either Navagraha (9 planets) temples or Shani temples. Just prior to performing the Pooja, the ritual of cleansing the idol with Ganga jal (holy water of the Ganges), Panchamrit (mixture of 5 items), oil and water is carried out. It is also customary to offer the idol nauratnahaar (necklace made of nine precious gems) before commencing the Pooja. After the completion of the Pooja, it is auspicious to read the Shani Stotra or Shanipaath (story), which can remove obstacles in your life. Offering black clothing, black til (sesame seeds) or mustard oil is highly recommended on Shani Jayanthi. This ritual can bless you with a trouble-free life. Performing Shani Shanti Pooja (Pooja to appease Saturn) and Shani Tailabhishekam (hydration ceremony with special items) is highly auspicious on Shani Jayanthi to curtail the effects of Shani Dosha (Saturn afflictions).